My business was born out of love for our family dogs (Eric & Jessie) and the passion for animal welfare. 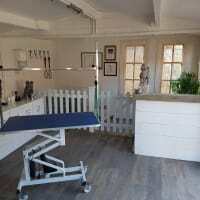 It is essential to me that, not only does your dog receive the best quality grooming, but also experiences a calming, friendly and safe environment. I offer a dedicated dog spa, grooming and stylist service, in which I use the best quality tools, techniques and products. Your pooch will have my undivided attention throughout the bathing, drying (no cage dryers) and grooming/styling process. I aim to deliver excellence in professional, commercial grooming, taking my time to deliver the upmost attention to detail at all times. 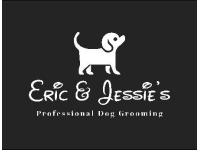 If you value a professional, quality finish, and caring friendly service, then Eric & Jessie's Professional Grooming looks forward to welcoming you. 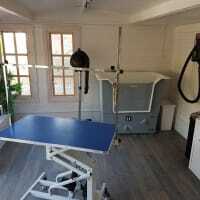 All services are tailored towards the individual needs of your dog. On the day of your appointment, a free consultation will be provided, to discuss your requirements. Jane is such a lovely and welcoming lady. She does an exceptional job and really looks after all dogs. My boys are not keen on having their nails done, but she was calm and patient and managed to get them done, they both looked and smelt amazing afterwards! The salon is clean and looks like it was fit for a king. Would definitely recommend.